Welcome to Windsor, the city that connects two great countries; Canada and United States of America. The city that unifies cultures, technologies, and, more important, people. Windsor is the capital of flowers and auto industry in Canada. On behalf of the MWSCAS 2018 Organizing Committee, MWSCAS Steering Committee, the IEEE Circuits and Systems Society, and University of Windsor, we welcome you to the MWSCAS 2018. The Midwest Symposium on Circuits and Systems (MWSCAS) is the longest running Circuits and Systems Symposium/conference sponsored/co-sponsored by IEEE CAS. It is 61 years young. The MWSCAS has evolved to be a real international conference attracting researchers/scholars/developers from all over the world. In the meantime, it has become the flagship CAS conference in IEEE regions 1-7. It has one of the most stable, continuous, well established, and dedicated steering committee. The MWSCAS series of conferences have evolved to become a major networking event for the scholars working on CAS topics; from Devices, Analog and RF Circuits to VLSI Architectures and Applications, including Emerging Technologies in 3D Chips, IoT, Deep Learning, Smart Systems. As a delegate at MWSCAS 2018, you will have the opportunity to learn of the latest advances in these fields, and to meet those who have dared, pioneered, and succeeded. Three keynote speakers focusing on the present and future challenges in Future Cars, IoT Applications, and Microelectronics. MSc/PHD Forum, the best MSC and PHD poster presentations will be selected. In addition to this high level stimulating technical program, a very entertaining social program is planned through “music around the world” in the welcome reception and a musical Gala Dinner. One of our main motivations in organizing this year symposium in Windsor is to honor Profs. Graham Jullien and Bill Miller. Graham has been my mentor for many years and Bill’s advices have been more than valuable all the time. Both have been leaders in Academia, CAS society, industry and Canadian Community. Indeed MWSCAS 2018 is very special and historic. We would like to thank many colleagues, students, and friends who have helped in making this conference a reality. We would like to thank the steering committee, the organizing committee, and the technical program committee under the leadership of Ken Jenkins, Mohsin Jamali, and Ahmed Abdelgawad. Very special thanks to the authors who have contributed very high quality papers to the technical program. Many thanks to the keynote speakers: Yervant Zorian, Eby G. Friedman, and Sebastian Fischmeister. They are visionary and at the leading edge of technology evolution. We would like to thank University of Windsor, College of Engineering, and the department of Electrical Engineering. Faculty, students, and dean Mehrdad Saif have been very supportive at many levels. Thanks to Tom Wehner, who has made sure the technical program is managed efficiently. We invite you to enjoy the stimulating environment of MWSCAS 2018 and the warm welcome of Windsor. The 2018 IEEE International Midwest Symposium on Circuits and Systems to be held in Windsor, Canada, August 5-8, 2018, is now accepting LATE BREAKING NEWS papers. The IEEE International Midwest Symposium on Circuits and Systems (MWSCAS) is the longest running circuits and systems symposium sponsored by the IEEE. The 61st edition (MWSCAS 2018) will be held in Windsor, Canada. The general theme of the MWSCAS 2018 is “Cars of 21st Century and Beyond“. MWSCAS 2018 will include oral and poster sessions, student paper contest, tutorials given by experts in circuits and systems topics, and special sessions. Windsor is a city in Ontario and the southernmost city in Canada. 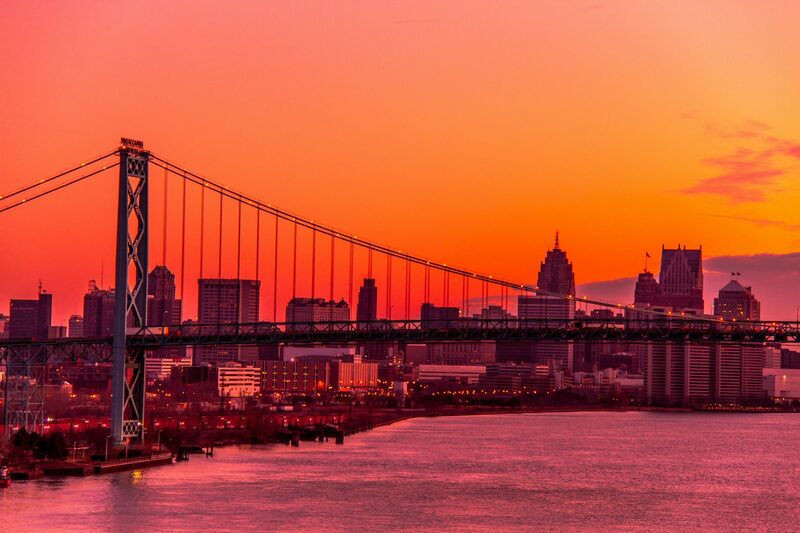 It is on the southern shore of the Detroit River, directly across the river from Detroit, Michigan. Windsor is a major contributor to Canada’s automotive industry and has a storied history and a diverse culture. Ouellette Avenue is the historic main commercial street in downtown Windsor. It runs north–south, perpendicular to the Detroit River, and divides the city into east and west sections. Windsor’s economy is primarily based on manufacturing, tourism, education, and government services. The University of Windsor is Canada’s southernmost university. It is a research oriented and comprehensive university.